Film in the digital age? Click on the image below to download the catalogue of works that L’Abominable has helped to produce since 1996. This document has more than 300 pages, downloading it can take several minutes. Each film, installation or performance is presented on a single page and in the case that the work is distributed, clicking on the name of the distributor gives you a direct link to the film’s page on the web. Two indexes, one by author and another by date, as well as a series of historical texts (also on this website) are appended. Clicking on the titles in the indexes send you to the corresponding page in the document. 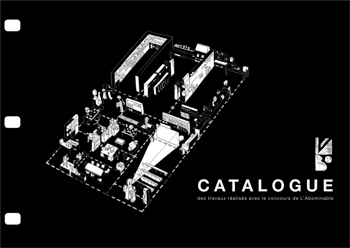 This catalogue will regularly be udated with the newest works.